No surprise – Pakistan has been very selective in choosing only certain journalists to cover the opening of the road to a highly regarded sikh pilgrimage site or the Kartarpur Corridor. 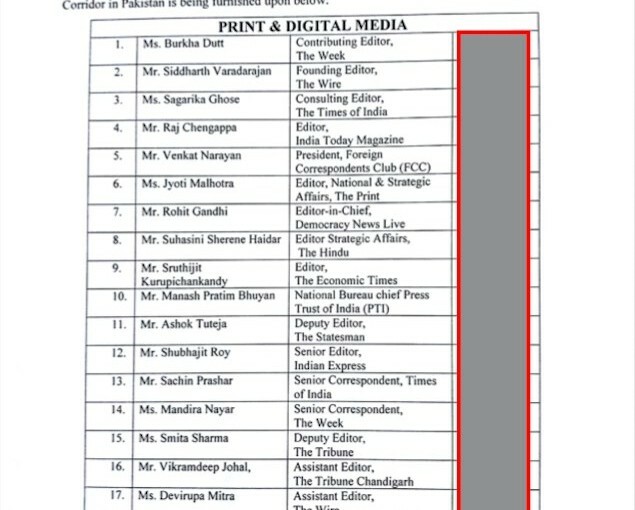 AFTER INDIA’S INITIATIVE, ONLY FEW OF THESE JOURNALISTS CHOSE TO PUT ANY PRESSURE ON PAKISTAN TO DO IT PART TO OPEN THIS PILGRIMAGE CORRIDOR. Indian nationalists would accuse several of the selected (in) famous journalists of praising Pakistan at different times and being highly critical of India’s tough stand against Pakistan as well as our armed forces.